The fortnight is over for another year – and what a packed one it was in Yorkshire! Check out our photo gallery roundup of the events taking place across the region – including the tour of our guest banana grower, Aimeth Angulo from Colombia. 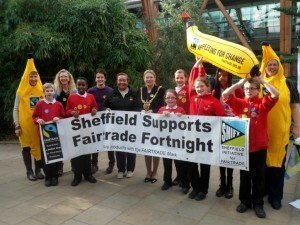 Fairtrade Penistone held a fun and successful evening ‘Let’s All Go Bananas’. 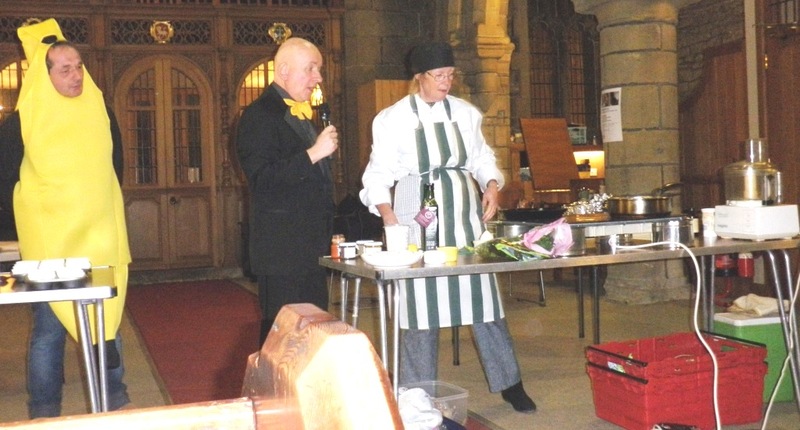 This featured a Ready, Steady Banana Cook, with Janine Lishman-Peat and Mike Goodwin preparing, and cooking, a mouth watering array of Fairtrade banana dishes, assisted by compere, Jeremy Cutts and aided by Banana Man. This was followed by ‘Your Best Banana Bites’. Members of the audience had been invited to enter a banana dish into a competition. 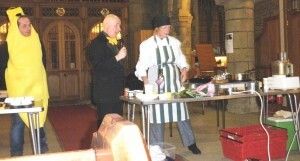 The dishes were then judged by Janine and Mike before being tasted by everyone. In addition to the culinary displays, Fairtrade Penistone stressed the importance of the Fairtrade message and the difference that Fairtrade can make to the lives of the banana producers and their families. During Fairtrade Fortnight, Maltby Academy students held a bake off competition to raise awareness of Fairtrade issues and help raise money for the Fairtrade Foundation. 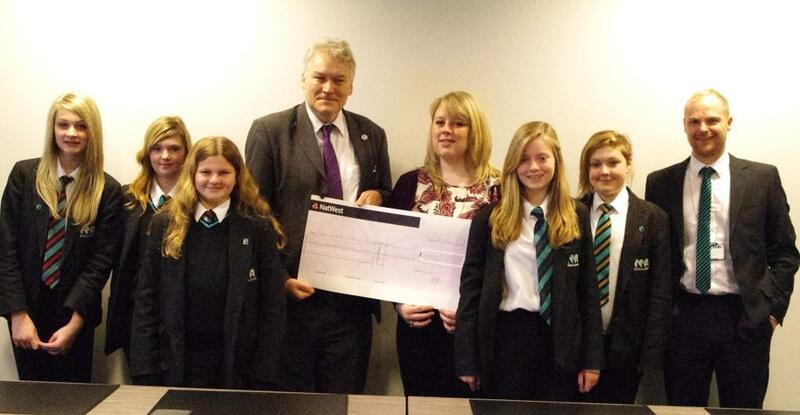 Five of the winning students presented Councillor Ken Wyatt of Fairtrade Rotherham with a cheque for £107.55. Cllr. Wyatt talked to the students about the work of the Fairtrade Foundation and Yorkshire’s role as the UK’s first Fairtrade Region.